Mat Mania Challenge possible hack request? I'm a big wrestling fan. I loved pro wrestling for nintendo, I was even thrilled about Mat Mania Challenge being on the 7800. 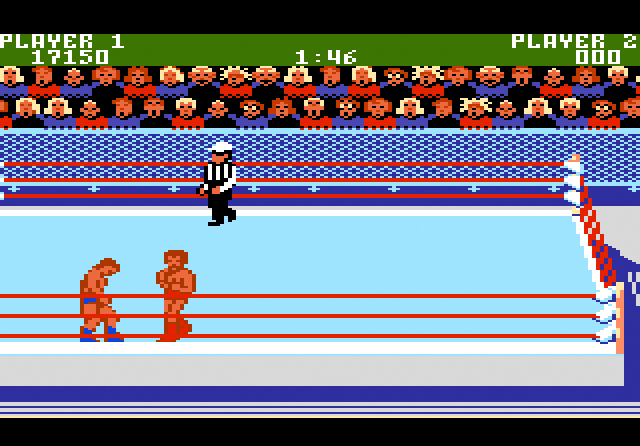 I would have been nice to have more wrestlers, but I guess with the limitations of the 7800 it came down to on 2 wrestlers. I just tried out Tile Molestor and I can't make heads or tails of the graphics that are layed out. Its all scattered and I really do not know what to do. Bit hacker and hack o matic the bin is too large for the program to handle. I know nothing about programming, or disasembling of the source code; looking under the hood so to speak and seeing what makes it tick. 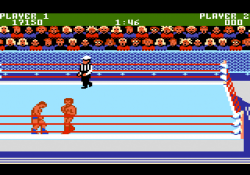 What I am asking if all possible, or of any interest at all, is this..
-change the two wrestlers sprites so they do not look the same, they are the differnet colour but thats it. -take that silly hat of the ref. -this is really asking too much if all everything that that above I am asking, but if this can be done slow the wrestlers actions down. What I mean is if a wrestler performs a hold its done at a bleak of an eye. if its slowed down you can actually see it happen! this one was protray the dynamite kid, his real name was tommy billington hence dynamite tommy!! 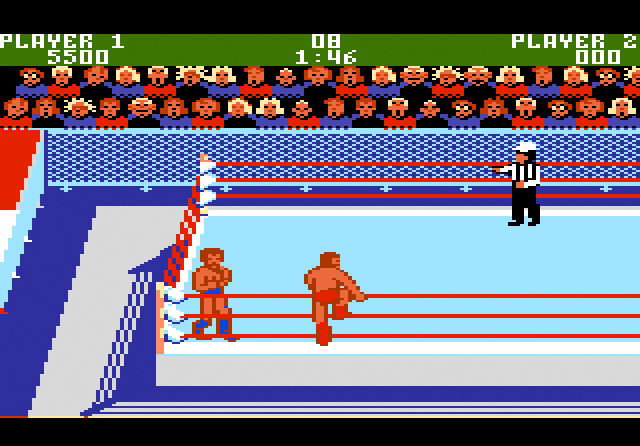 arcade version and the final wrestler you meet for the championship. in which they made him look almost like the hulk hogan because he was so popular back then. and even had the leg drop as his finisher. if the second wrestler could look close to looking like this... but of course without the belt. you can see the ref with his hat, just doesn't look good. I gave it "some" thought on this hack request, and what i am hoping is doable! Some just ask hope for the person to take it from there. I layed it out. asking is one thing and but doing is another. Edited by corbysatarigame, Mon Jan 12, 2009 11:51 PM. how do you find the sprites in tile molestor????? Edited by corbysatarigame, Wed Jan 14, 2009 10:23 PM. That is very easy.Use the following options. Should be not a big problem to change the sprites,but it is a lot of work. If any hacks were to be done to the game, I'd hope they'd make them closer to the arcade originals. The sound is atrocious.